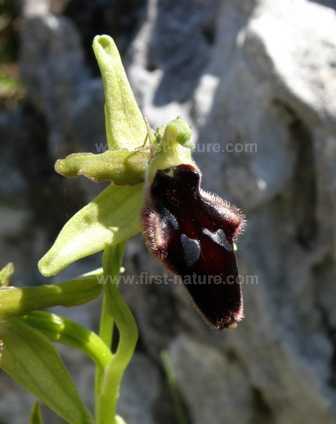 This orchid is simply referred to by some authorities as Ophrys promontorii, but is probably a member of a complex group of orchids related to Ophrys sphegodes and/ or Ophrys bertolonii. Reported only from Italy, most frequently from Monte Gargano. Open areas of poor grassland on dry to moist alkaline substrates. 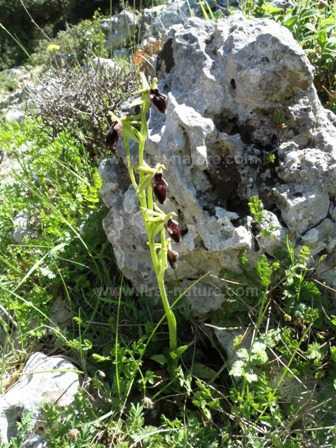 This specimen was photographed at Monte Sacro in the Gargano Peninsula in Italy in mid April.